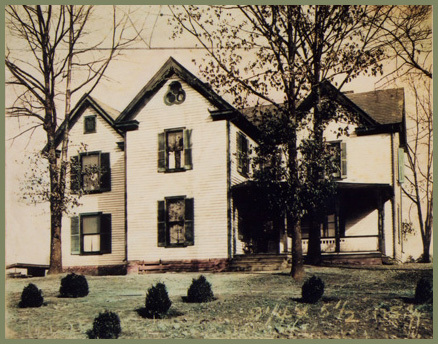 Comments: Idylwood was the home and photo studio of William E. Burgess, an accomplished photographer of Scottsville and Virginia. It was located near Driver's Hill east of Scottsville near Rt. 6, and this Burgess photo of Idylwood was featured in the Richmond Times Dispatch on June 6, 1909. 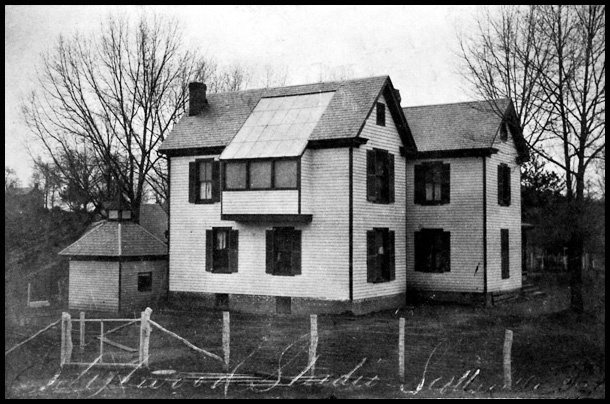 As shown in the photo below, his studio was located on the second floor, directly under the glass skylight. Burgess washed his photo prints in a special box he made to immerse in the shallow waters of the Hardware River near his home. 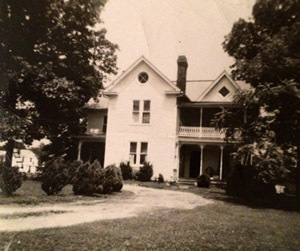 After Burgess died in 1935, Idylwood became a private residence which was purchased by William Martin Cook and his wife, Rena (Bolling) Cook, shown in this 1951 photo in front of Idylwood at right. 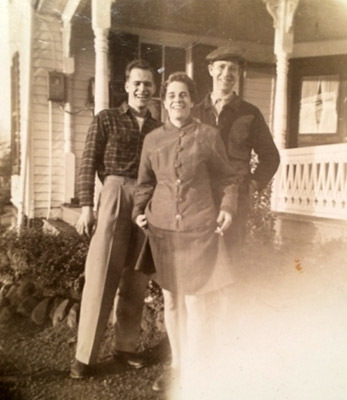 (L to R: Hiram Bolling Cook, their son; Rena Bolling Cook; and William Martin Cook). 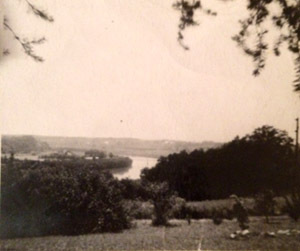 Unfortunately, this Idylwood home burned to the ground in 1962, and the Cooks built a new home on this very spot overlooking the picturesque horseshoe bend of the James River. The top photo was provided by Edward Douglas Burgess of Charlottesville, Virginia. Doug is the great grandson of William E. Burgess and an accomplished photographer in his own right. The second photo is part of the Raymond Thacker Collection, Scottsville Museum. The bottom three photos were provided by Karen Cook Cobb of Powhatan, Virginia. Karen is the daughter of Hiriam Bolling Cook and granddaughter of William Martin Cook and Rena Bolling Cook.